(Correne Coetzer) Remember the young drifter who decided he could do better than living on the streets? 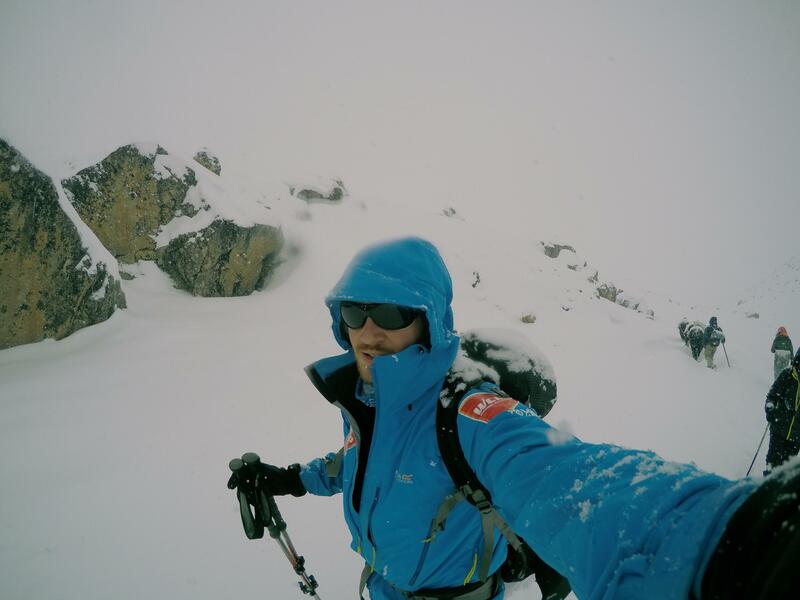 We’ve been following Jelle for a while at Explorersweb. During his homeless years, at age 17 he would walk half a mile to collect water for his shelter and learned that a kid doesn’t need much to be happy. Not even one with very big dreams. Fast forward a decade: Jelle became a physiotherapist, helping people recover from illness and injury. And who better to consult than someone who cycled 13,000 km to Kathmandu – to climb Mount Everest. The peak pushed him back twice already, by circumstances beyond his control. But Jelle will try again next year, without oxygen he plans. We caught up with the Belgian mountaineer to talk about his new attempt, the Everest earthquake (he was just stepping back in BC from Camp 2) and how human power has become important to his life also outside of adventure. #Pythom: You cycled 13,000km to Nepal to climb Everest as part of a bigger project. Both times your climb was cancelled due to circumstances out of your control (Sherpas who died in 2014 and the Earthquake in 2015). Although you are alive and grateful for that, you say, it must have been a disappointment. How do you process the feelings that go with it and how do you motivate yourself again? *Jelle: After the earthquake I immediately started to help out and try to put my focus on the locals. That helped for a while to distract myself from the disappointment. In the months after the quake I had a hard time being back in Belgium and coping with what happened in Nepal. I’ve been preparing for Everest two years already and it’s very painful when your attempt is cut short again and again. On the other hand I never really stop training because I just love to push myself, I don’t need big goals for that. Now that I’m training for Everest yet again I think I could just as easily focus on new goals and objectives, even smaller ones. #Pythom: You had just got back to BC from Camp 2 when the Earthquake struck in April. What was your experience? 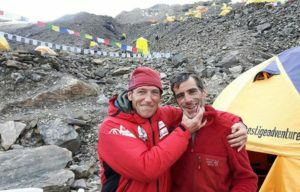 *Jelle: I did my second rotation on Everest where I went to Camp 2. Everything went well, I felt I could really push myself and I was in great shape. A week before I even helped the Icefall Doctors break trail up to around 5800 m. I felt really strong going up the ice fall with these tough and experienced people. 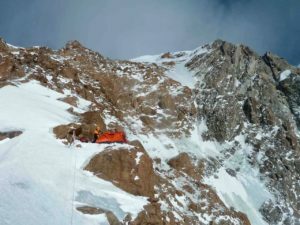 I had just arrived in EBC after returning from Camp 2 when suddenly the ground started shaking. I had never experienced an earthquake before and it got a little scary. Then I thought I’m safe because I’m not inside a building or something. But a few seconds later a sherpa started shouting to look behind us. I saw this massive cloud of snow and ice coming right at us, the biggest avalanche I had ever seen. The only thing I could do was run for my life, which wasn’t easy in high altitude boots and a full backpack at 5300 meters (17,400 ft). I couldn’t outrun the avalanche so I tried to hide behind a pile of rocks. When the avalanche hit, I was suffocating and knew I needed to find a tent. Luckily I found one and while crawling on hands and knees to find the entrance, people pulled me in. The good thing was that the tent was in a lower section of the camp. The avalanche hit the upper part and thus “flew” over our tents. I really felt that this was it though, that I was going to die. #Pythom: You spent quite some time in Nepal before your 2014 attempt. What did you do there?. *Jelle: My time in Nepal was amazing. I visited the orphanage “Shangrilahome” and worked as a physiotherapist in Kathmandu. A friend from University, Tenzing David Sherpa, graduated with me as a Physiotherapist in Belgium and returned to his family in Nepal to start a practice. Since medical facilities are limited there, I enjoyed to help him build out the first physiotherapy practice in the country. Working there was a great experience. In my free time I tried to climb and train for Everest as much as possible. I went to Rolwaling Valley for 2 weeks, a great spot for ice climbing. They have lots of waterfalls in winter, most of them never climbed before. My friend’s family lived just at the edge of the center of Kathmandu by a great training “hill” that I ran up three times/week, going from 1600m to 2800m, mostly with a backpack filled with rocks. A perfect preparation. By the end of March I cycled to Phaplu where I left my bicycle and started trekking to Everest Base Camp. Then the tragedy of the falling serac occurred. #Pythom: How safe is climbing and trekking in Nepal? *Jelle: Pretty safe I believe. Especially if you know what you’re doing, or hire a guide/sherpa if you don’t. Even with a guide though you should keep yourself informed about altitude sickness and other mountaineering and trekking issues. The more one is prepared, the safer it is. I think most companies are trying their best to keep things safe. In the Icefall the doctors are checking the ropes daily for the safety of the climbers for example. But still I found an ice screw that started to melt out (which is nobody’s fault), so I replaced it. I think it is the responsibility of every climber to check these things. #Pythom: What are you up to now? How do you keep fit? *Jelle: Right now I’m working, trying to find sponsors and training. As a self employed Physiotherapist I can manage my own schedule so I try to be creative with my time, cycle everywhere for example. I don’t like to sit in a car anyway because it limits my freedom, especially in traffic jams. I also try to go climbing at the gym 2-3 times a week and do some weight training at work. I’m already at around 16-20 hrs weekly training right now, and will add to it much more in winter. #Pythom: You are adamant to use human power, the least outside help when possible, no O2 on EV, why? *Jelle: I ask myself the same question sometimes, but then I reach one of my goals and get such a feeling of satisfaction. It feels like the purest way to climb a mountain as well: limited help, even with transportation. I love to challenge myself, I’ve always liked to push my limits and going on an adventure like this feels like I’m doing that. It is not just about the summit, it’s about the whole trip for me. Another reason is to show people we can do things differently. We don’t need to drive everywhere and there are more eco-friendly ways of transportation. I’m not saying everybody should take their bicycle for a 1000 km trip but maybe people could consider biking to work at least once a week. My mother already took example from me and started running at the age of 53. “If my son can cycle to Nepal, I can run at least 10 km several times per week,” she said, and so that’s what she does. 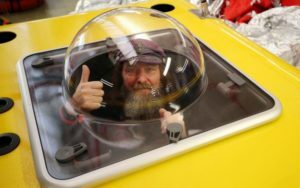 *Jelle: I’m preparing to climb Everest in 2016 without supplementary oxygen after which I’ll be cycling to Singapore and row to Indonesia (to climb Carstensz Pyramid). People who would like to join me on any of the adventures can always contact me. After 5 months of cycling 13.000km alone, I’d like to have some company from time to time, even for a week.